Have Aspen’s pot shops runneth over? Jesse Miller of the original Leaf cannabis dispensary lines up a flower display in the Aspen store Tuesday. 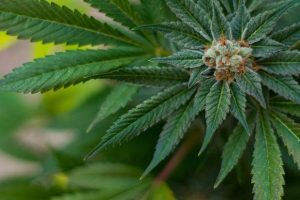 The number of marijuana shops in Aspen has reached the level that Mayor Steve Skadron fears their “proliferation” is negatively shaping the city’s image and tainting its brand. 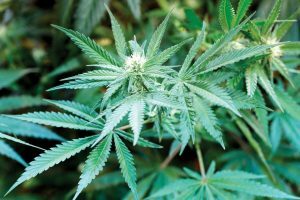 Skadron called a City Council work session Tuesday to begin dialogue about whether the municipal government should restrict the number of licenses to sell marijuana. The city has 13 active marijuana licenses under its purview, with five more licenses pending. That accounts for eight dispensaries that sell recreational cannabis, five of which also offer medical marijuana. The retail license for a ninth retail shop, Best Day Ever, is pending. Shops must be licensed by the state, as well. 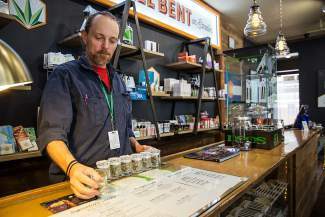 Downtown Aspen’s storefronts have become “saturated with pot shops,” Skadron said. 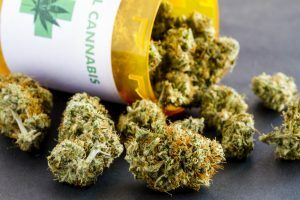 Last year, the city’s seven dispensaries rang up $8.3 million in sales between medical and recreational cannabis. The mayor said he’s not sure if capping the number of licenses is the best course to take, but that’s one idea he felt needs to be considered. But the discussion of restricting the number of licenses, and therefore shops, morphed into a lively debate about free market versus government regulation, the retail diversity of downtown, the effect of alcohol on society and the fact that the city has 89 liquor licenses in the books. “Alcohol is the problem we put up with,” said criminal defense attorney Jeff Wertz, who also is a member of the Local Licensing Authority. Limiting the number of licenses amounts to a “solution in search of a problem,” he said. Wertz said his experience in the courtroom has shown that police field an “amount of alcohol calls that will blow your mind.” The number of cannabis-related police calls, he said, doesn’t come close. Police Chief Richard Pryor agreed. She said the city would be engaging in a double standard by limiting the number of pot shops while at the same time leasing mall space to restaurants that serve alcohol outside. Skadron said Maytin was missing his point. Rather he argued that marijuana dispensaries are stripping away opportunities for other potential retailers by taking their space, and landlords are charging pot shops higher rent than restaurants, he said. “I’m talking about an appropriate retail mix here,” he said. Councilman Adam Frisch appeared conflicted on the issue. 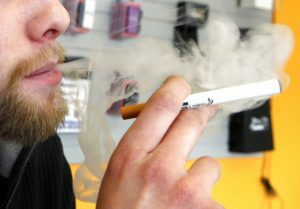 That’s because he said he believes the free market should take its course, but the number of shops also might translate to easier access to the drug for youth. “Kids give money to the homeless to buy” them marijuana, he said. Parent Lexie Potamkin supported a cap.